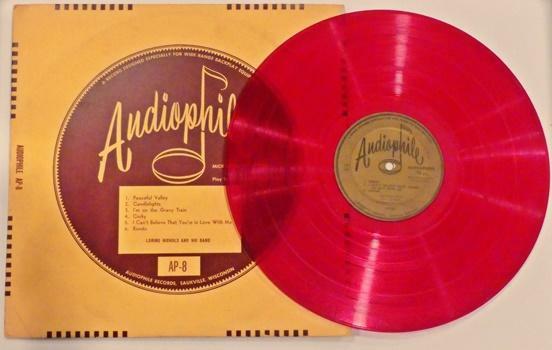 As I'm sure you will remember from reading it in excruciating detail, my recent report on the 2018 Capital Audiofest show opened by announcing the impending "shellac revival," a facetious reference to the "vinyl revival" so often proclaimed in Audiophile Land. A silly joke, that--but one, as we shall see, concealing a tiny kernal of truth. No, we aren't about to see a massive, or even measurable, resurgence in a format that went from dominant for half a century to effectively defunct in a half decade after the LP made its debut in 1948. On the other hand, the dearly departed has twitched lately, suggesting perhaps we shouldn't nail down that coffin lid just yet. In fact, the emergence of stereo microgroove 78s is in no way inconsistent with the history of the format. This article will survey that history; a later one will bring us up to date on current developments. When most of us refer to 78s, we think of 10-inch discs made of some brittle, scratchy material with coarse grooves, a playing time just long enough for a single big band song, and distinctly limited fidelity. Each of these characterizations has a little validity while being, to a greater or lesser extent, misleading. To begin with the size of the records, it's true, the "standard" diameter for popular records, at least in the United States and the British Empire, settled on 10" early in the 20th century and remained so up until the end of the 78 era. The earliest disks, however, were 7" in diameter, and not too long after the introduction of 10" disks came that of 12" records, the same size as a standard LP, which would become common for classical issues, overwhelmingly so for the album sets containing complete longer works that began to emerge in the 1920s. On the Continent a wealth of other sizes prevailed: Odeon and Fonotipia, for example, were fond of 10.5" diameters, and Pathe records for domestic service came in a variety of sizes from around 8" up to 14", with the most common for classical and operatic issues being 11.25". Even where 10" was standard, other sizes would appear from time to time, such as, in England, the 8" Broadcast disks or, in the United States, the 5.5" Little Wonder and 5", 7", and 9" Emerson records. Records were pressed in materials hardly less varied than the sizes in which they were issued. The most common is some mix of shellac; strengtheners; and, particularly in records up to the middle 1930s or so, abrasives, but other choices included, inter alia, cement (of all things!) with a veneer of wax for the playing surface (early Pathe); smooth shellac laminated over a core of coarse, stronger material (Columbia); Condensite phenolic resin over a wood flour core (Edison); Durium resin over a cardboard base (Hit of the Week); and, most pertinent to the subject at hand, vinyl (V-Disks during World War II, Vogue Picture Records and various mostly premium pressings thereafter). Sometimes the material could be inherently noisy, particularly that in cheap pressings; then again, even conventional shellac pressings could be surprisingly quiet, with any noise issues today resulting from age and abuse. Groove width, too, varied wildly over the course of the 78 era, and while mostly it was coarse by modern standards (Pathe especially so), sometimes it was quite the opposite. In fact, as far as I know the finest groove ever offered to the public in commercial audio pressings came in the 1920s, when Edison produced a record that could play 12 minutes per 10" side or 20 minutes per 12" side at 80 RPM. (With typical puffery, the company referred to the discs by their total playing time on both sides--the 12-minute per side records were "24 minute" and the 20-minute ones "40 minute" on their labels and in company literature.) A modern LP groove would be nearly twice as wide. Years ahead of their time, with pressing technology disastrously far ahead of that for playback, Edison's long playing records were a commercial failure, but even the "regular" Edison discs carried a groove substantially finer than the then standard, maybe half again as wide as those of their modern LP counterparts. So, isn't a shame all these disparate strains in the pre-LP chorus didn't come together harmoniously to form a modern-style microgroove 78? Audiophile records are made for audio 'fans'--for people who are critical of recorded quality. Among audio fans it is common knowledge that the better the playback equipment, the worse many records sound. The close electrical and aural scrutiny given records by good equipment too frequently discloses deficiencies in the record that would not be noticed if the same record were to be played on equipment of lesser capability. Good equipment cannot make a record sound good if the record has not been properly recorded and processed: such a record had best be reserved for playing on less candid systems. Even after the introduction of stereo, Mr. Nunn was an avowed proponent of recording in mono, and although his label ultimately did bow to commercial realities and release stereo disks, the accompanying text in those later releases added an admonition that the corresponding mono issues would sound better on good equipment. Audiophile also released records in the LP format, but, again, the accompanying text explained that the 78 RPM issues had greater potential. Audiophile records are carefully made in every step of the recording and processing procedure. The equipment used to record Audiophile records has a useful response between 16 cycles and 20 KC. Frequencies to 18 KC are recorded in substantially their proper relative amplitudes. This record has the following recording curve: cross-over frequency, 300 cycles. With reference to 0 at 900 cycles, the rise is 2 DB at 1 KC, 6 DB at 4 KC, 8 DB at 8 KC, 12 DB at 12 KC, and flat to limit. The recording level is about the same as the usual "microgroove" record, regardless of speed. Playback acoustic conditions, plus the listener's preference, must determine the exact playback equalizer setting. A majority of listeners in our experience seem to prefer the "flat" equalizer position, when the record is played on good equipment. In addition to the foregoing, the standard notes offered advice about cleaning the record, treating it to prevent static (agents containing alkyl quaternary ammonium salts were recommended), maintaining equipment, and even preferred cartridge brands: "Good lateral compliance in a pickup is essential. (Weathers, Pickering.)" Times change; today (small-a) audiophile dogma favors lower compliance moving coil designs. According to reminiscences on a memorial site, master tapes for Audiophile 78s would have been recorded through Stephens microphones to a highly modified full track Magnecord open reel deck running 15 inches per second. In these and later, stereo recordings, Mr. Nunn relied on room acoustics and careful placement of the musicians to achieve proper recorded balance; he avoided mixers. The 78 RPM pressings were probably made at Keysor-Century in Saugus, California, although some sources indicate they were products of Wakefield in Phoenix, Arizona. And so we come to the frontier of the modern age. We'll pause here and resume the story in a future article. Equipment list: Shure V15Vx-MR cartridge with original VN5xMR stylus; SME 3009 Series II improved tonearm; Fons International Mk. I turntable; Graham Slee Jazz Club phono preamp; Edirol UA-5 USB audio interface; Dell Latitude E6410 computer running Windows 10; Seagate 1 TB USB hard drive for storage. Audio recorded and edited with Ocenaudio, lightly declicked with Click Repair, and converted to the obligatory .mp3 format for streaming with Kastor Free Mp3 M4a Wma Converter. Photos taken and processed by the author with a Lumix DMC-FZ300 digital camera and PhotoScape image processing software, respectively. No audiophiles were harmed in writing this article or copying the included audio track. 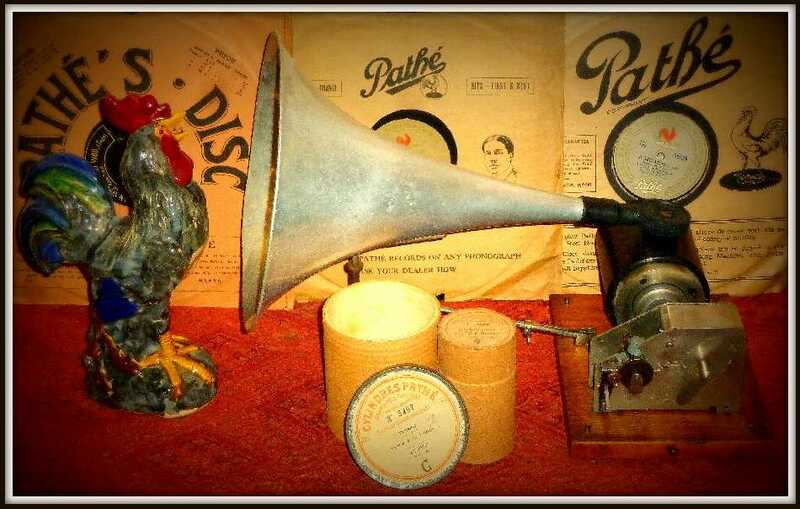 - As I have outlined elsewhere, sometimes it seems as if the only speed at which early "78s" do not spin is 78 RPM.